Are you looking for furniture that will last a lifetime? 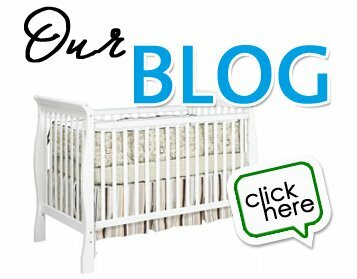 Quality baby furniture is a big investment that should be built to last. At Baby Tyme Furniture, we carry quality brands that are made with real wood and come in a variety of stains and finishes. Are you concerned about keeping your baby safe? All of the furniture available in our Cleveland and Akron showrooms is certified by the Juvenile Products Manufacturers Association (JPMA) so you can be confident in your purchase. We have a knowledgeable staff that will help you select the best pieces for your baby’s nursery. We’ll be here for years to come. We’ve been serving Cleveland, Akron and Canton families for more than 20 years. You can be confident that Baby Tyme will be here to help you for years to come. As soon as our customers experience the outstanding service and quality furniture we have to offer, they return time and time again. We hope you’ll visit one of our showrooms to experience what we have to offer.